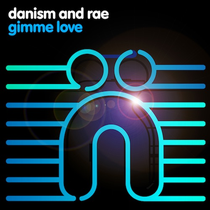 Danism join forces with vocalist Rae to unleash a deep house groove titled 'Gimme Love'. This outing sees spectral synth hooks dance over a deep haunting bass thump, backed by immutable beats and dusted with an eerie breakdown, where Rae's vocal shimmers throughout. Dan Liquid and Dan Nu:Tone are collectively known as Danism. Together they form a production team that is synonymous with a high a quality and innovative production sound and as fully-trained musician and keyboard player, Dan Nu:tone has integrated himself with Dan Liquid’s production vision. Influenced by a whole range of musical genres, Danism’s production output is varied whilst maintaining a definite signature sound. In addition to their longstanding association with Nocturnal Groove, recent projects include new collaborations with Lem Springsteen, Michelle Weeks and Arnold Jarvis. A further EP on Shadow Child’s Food Music label is also in the pipeline. Singer, songwriter, DJ and producer Rae signed to Defected records in 2008, and has since gone on to deliver releases with Kings of Tomorrow, ATFC, David Penn and many more. The re work of ‘Hide U’ in 2010 with Sandy Rivera was a huge hit and Rae's solo release ‘Another Day’ also topped the house charts. Rae has collaborations and solo productions forthcoming on Toolroom, Food music, Nightbird and Stealth. Check 'Gimme Love' above, it’s out 2 December.